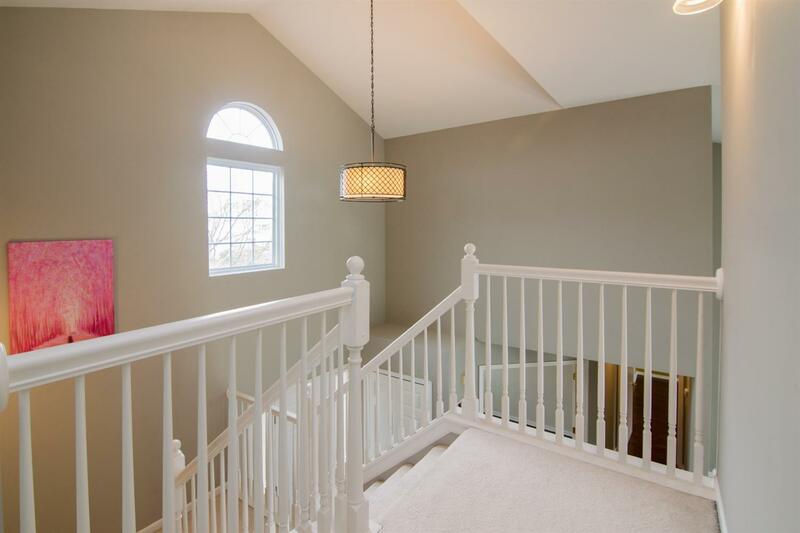 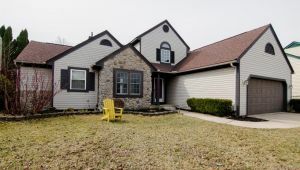 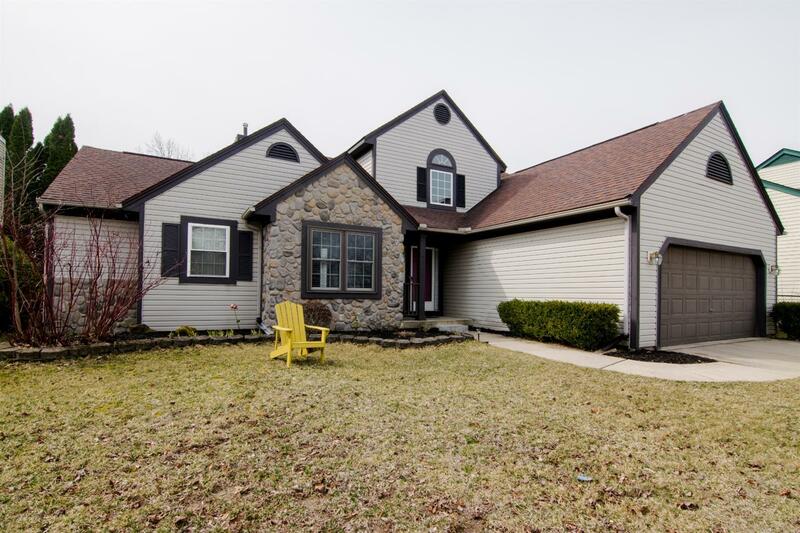 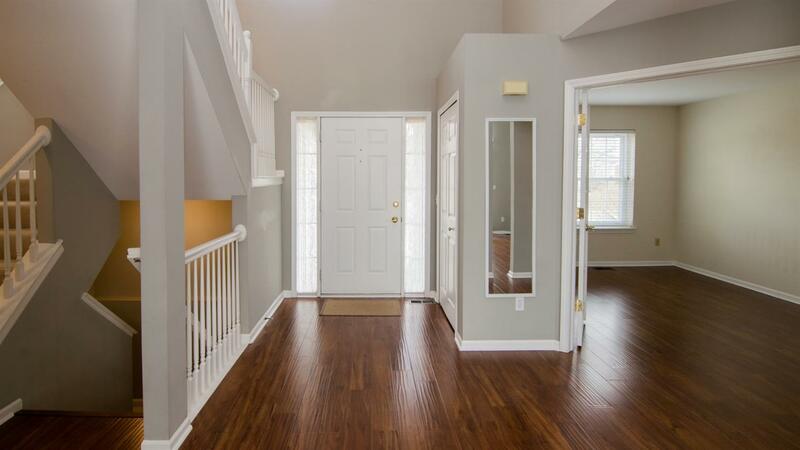 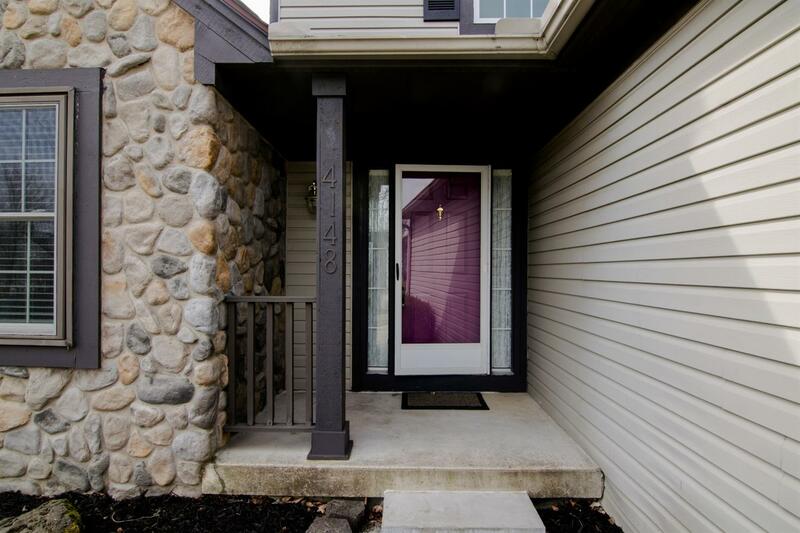 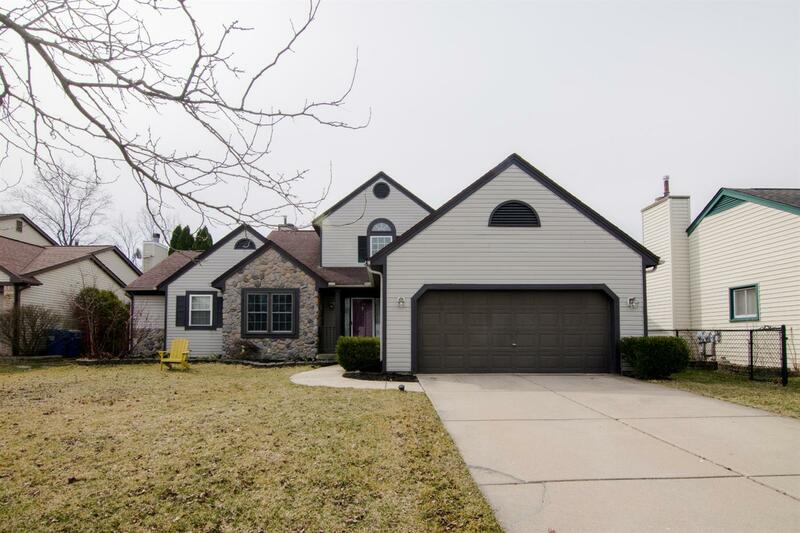 Welcoming front entry with fieldstone wall leads you to this beautiful Colonial home! 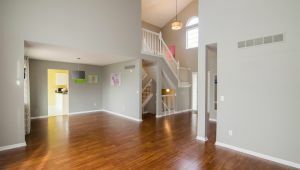 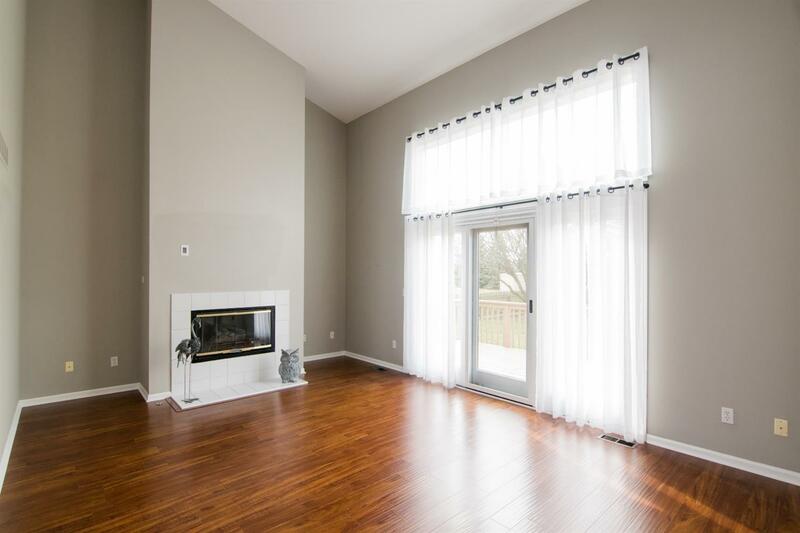 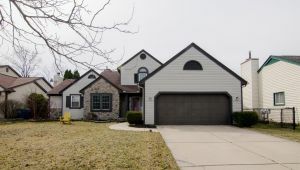 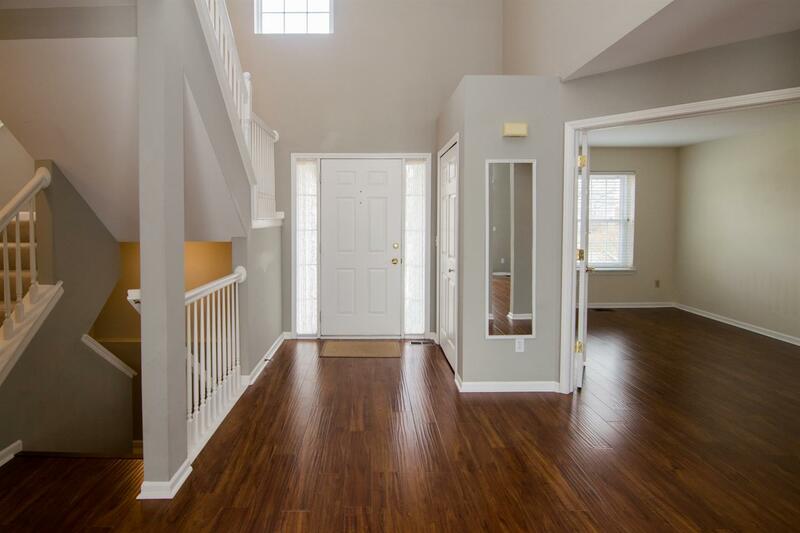 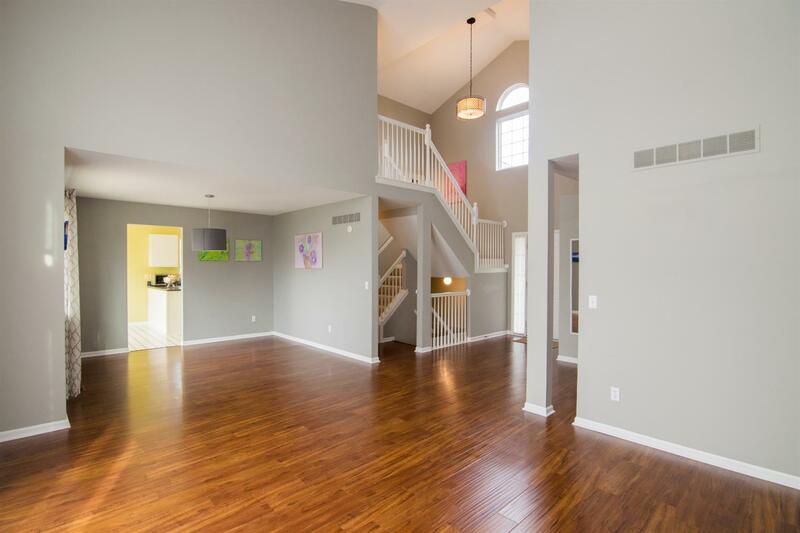 To the left of the two-story foyer entry is a home office w/ French doors, straight ahead is the bright spacious great rm with a modern floor to ceiling bump out” gas fp w/ white tile surround, all glass door bordered by glass panels and the vaulted ceiling completes the space. 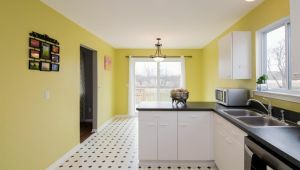 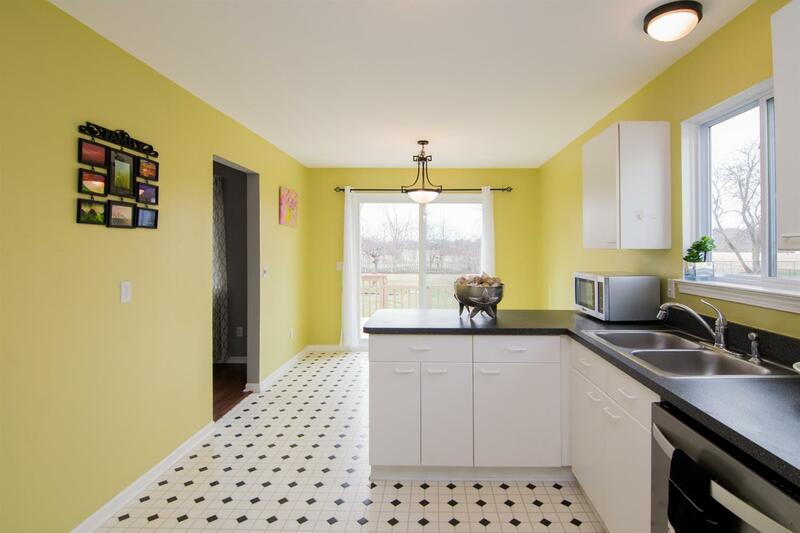 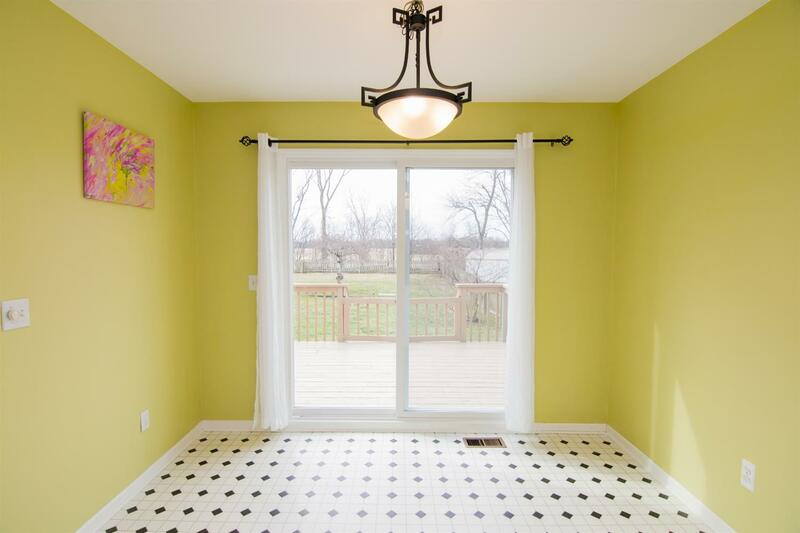 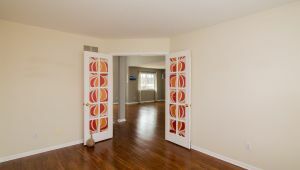 Separate dining area w/ contemporary light fixture is located off the kitchen. 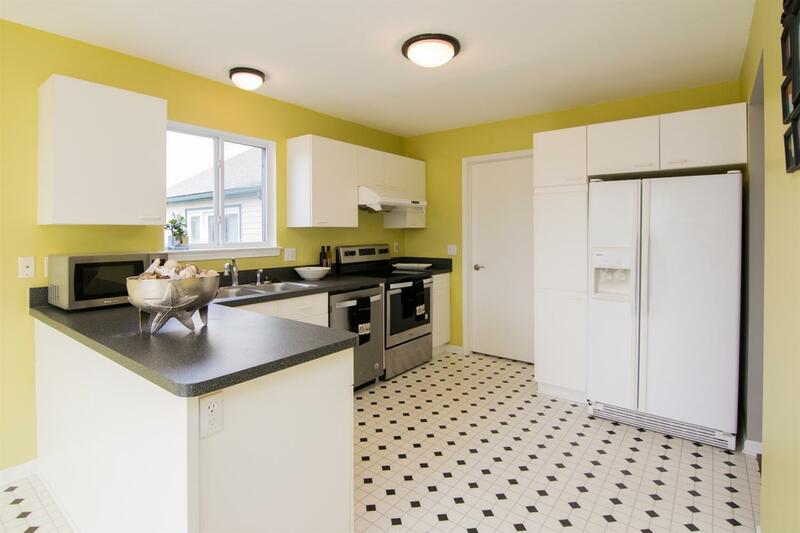 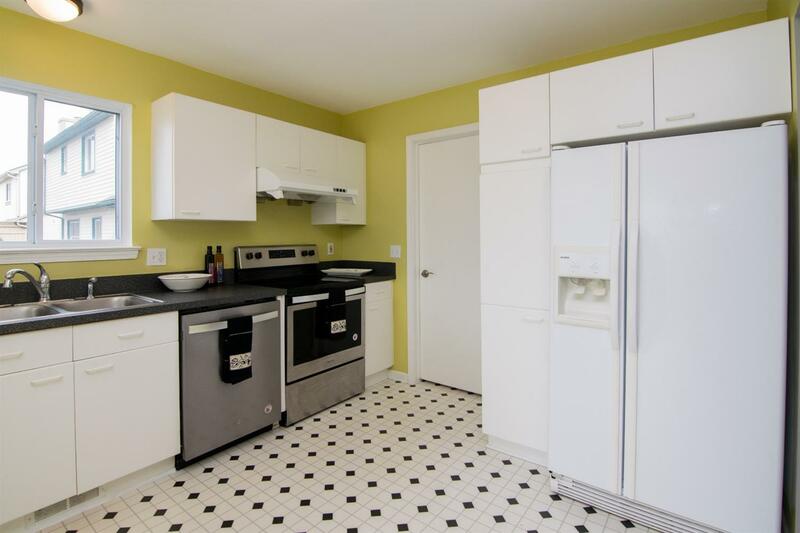 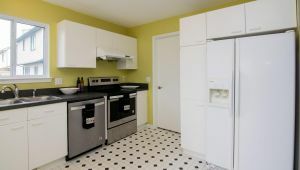 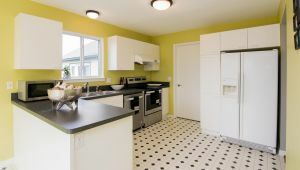 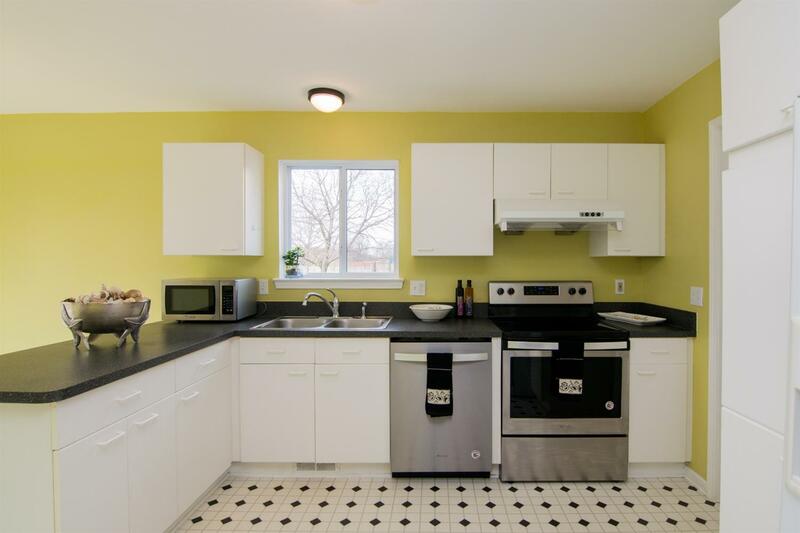 Bright white kitchen w/ dark countertop for sharp contrast, dishwasher, microwave and new range/oven to keep the modern feel. 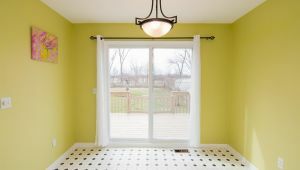 Sun filled eating area w/ new sliding door that leads to a deck that spans the length of the house. 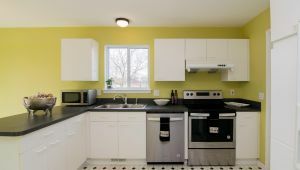 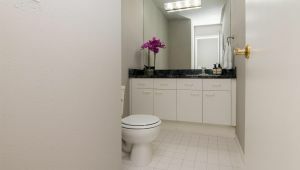 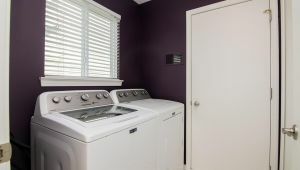 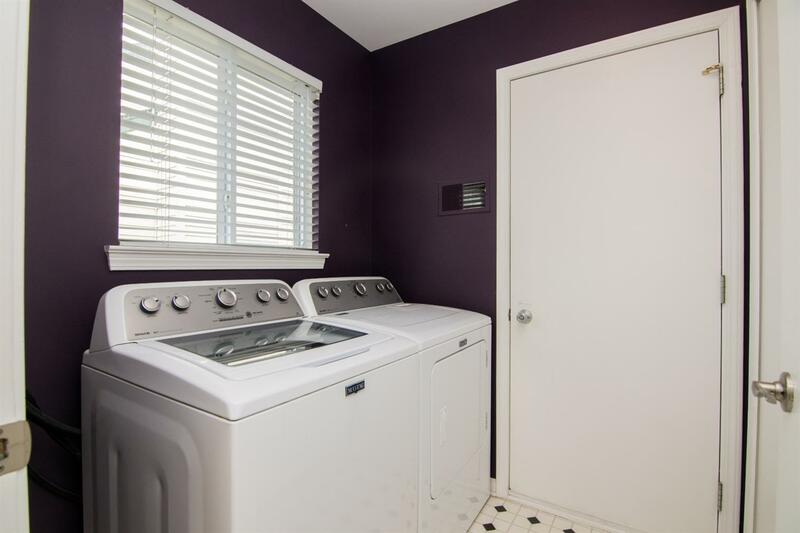 Laundry rm is just steps off the kitchen to help with your everyday chores. 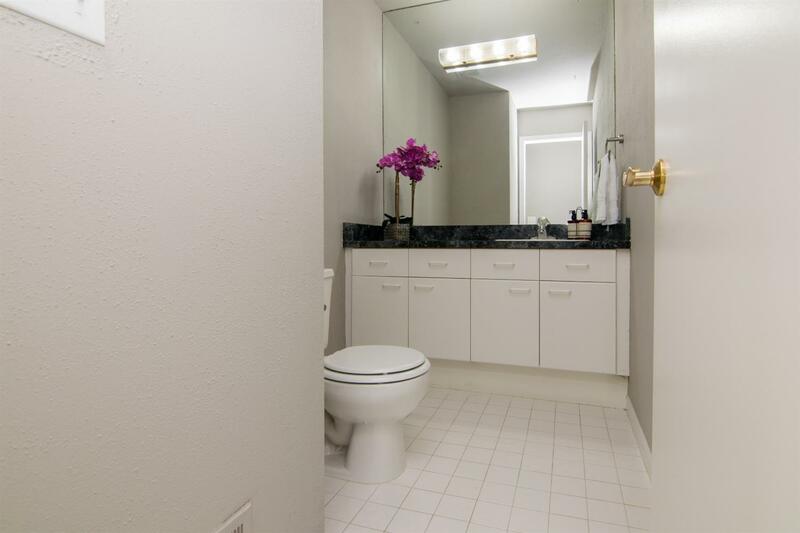 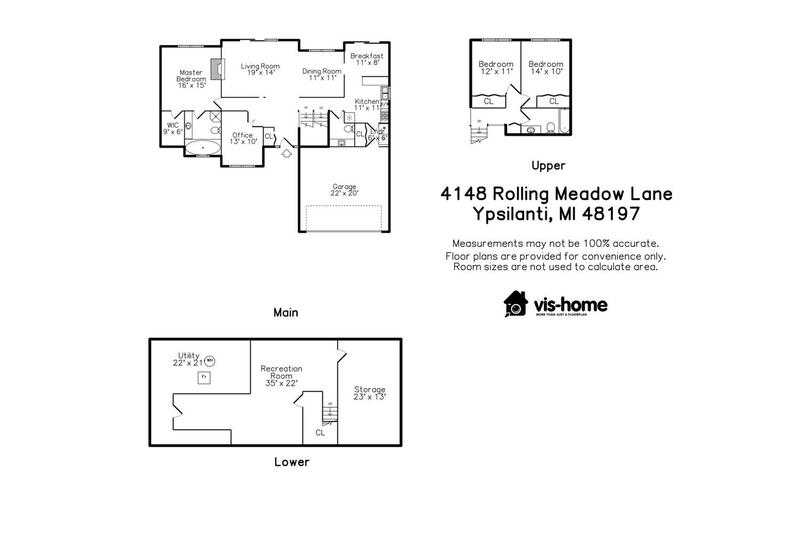 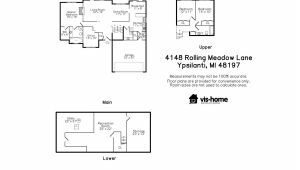 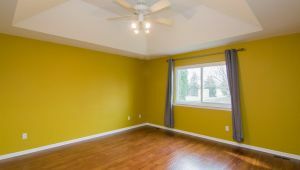 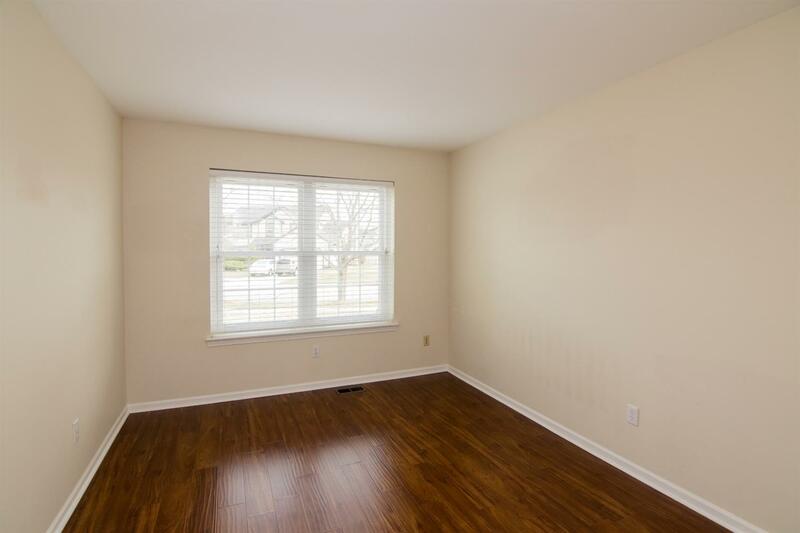 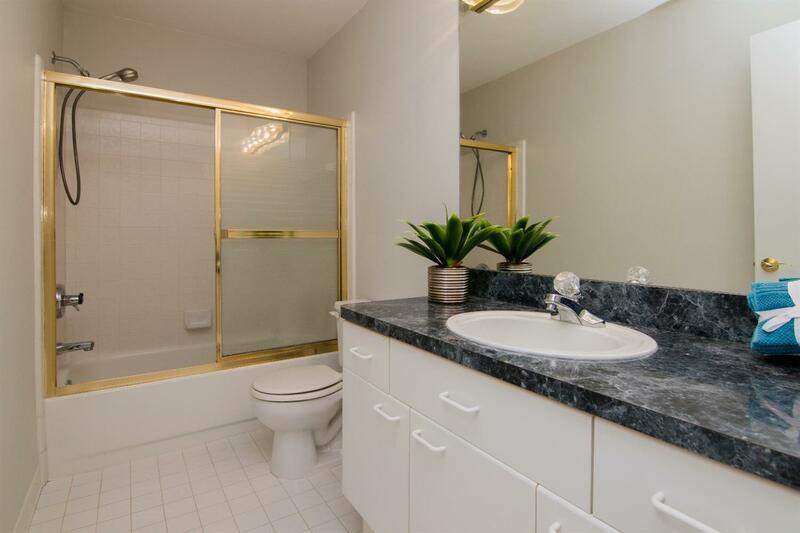 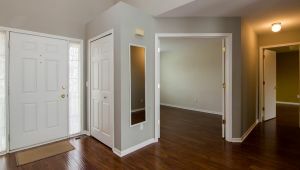 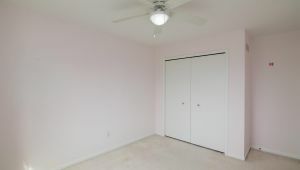 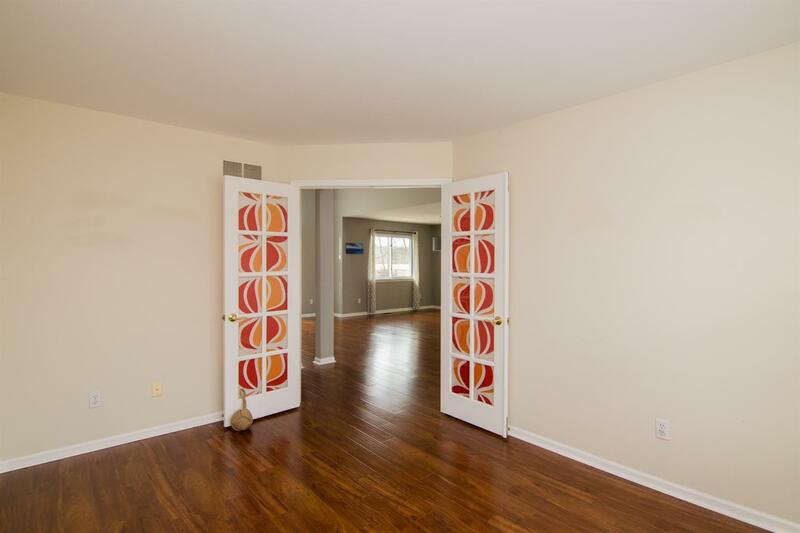 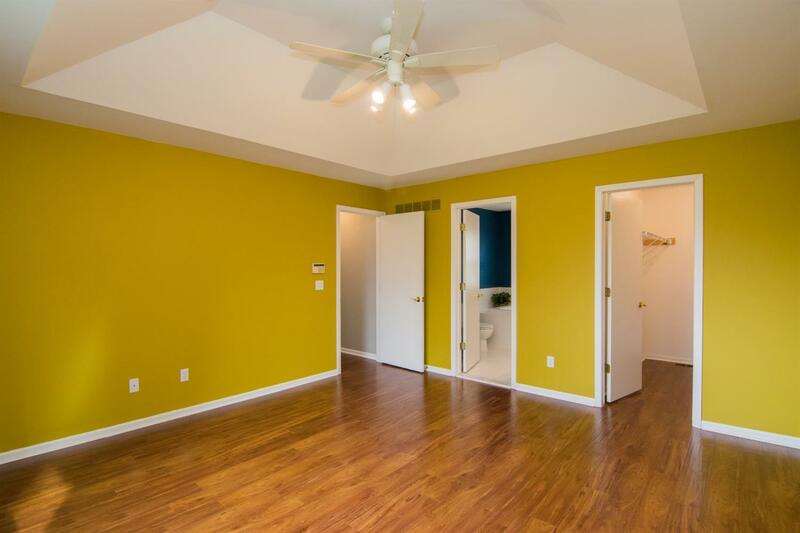 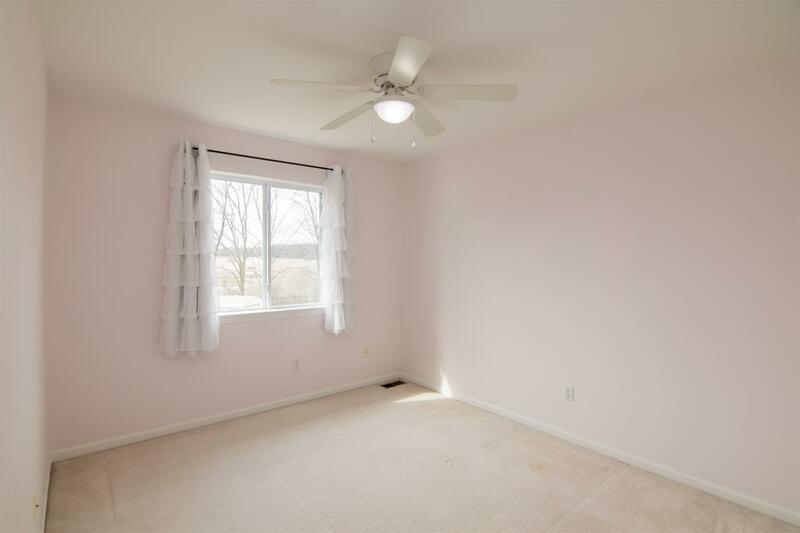 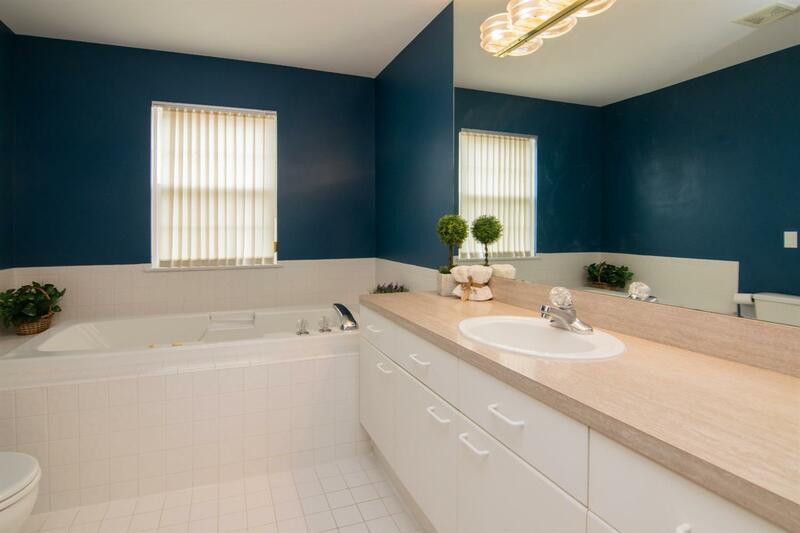 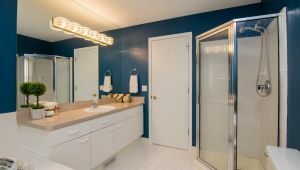 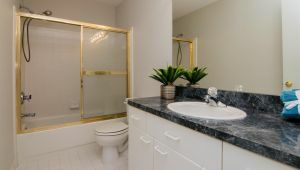 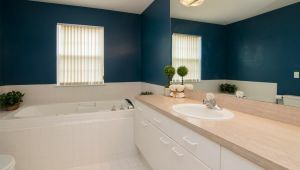 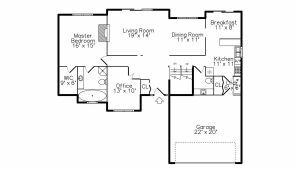 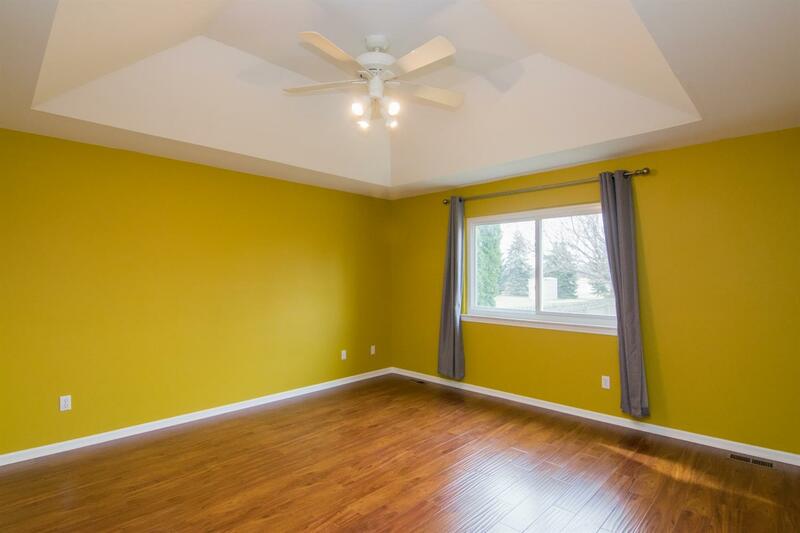 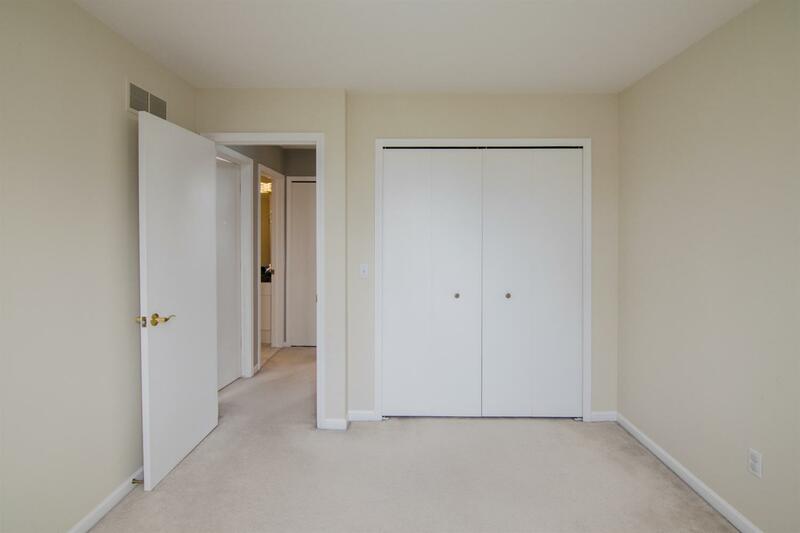 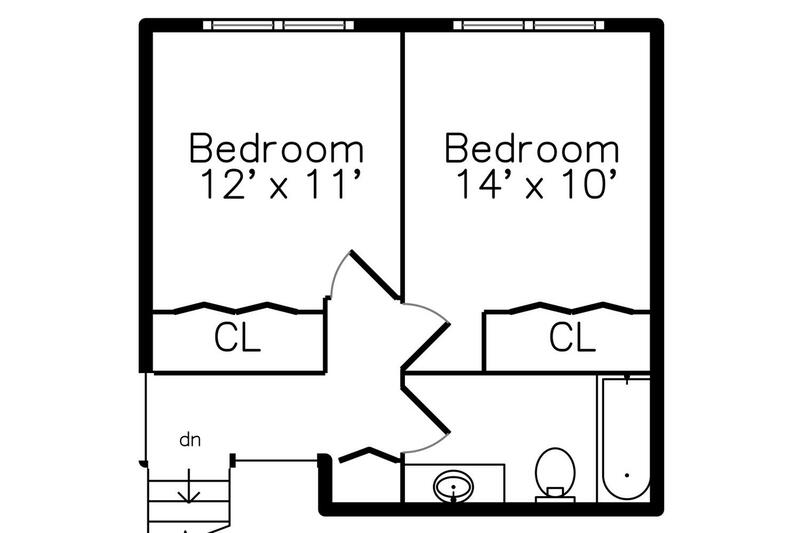 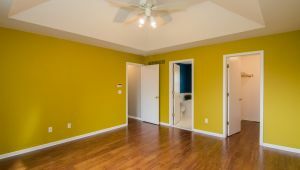 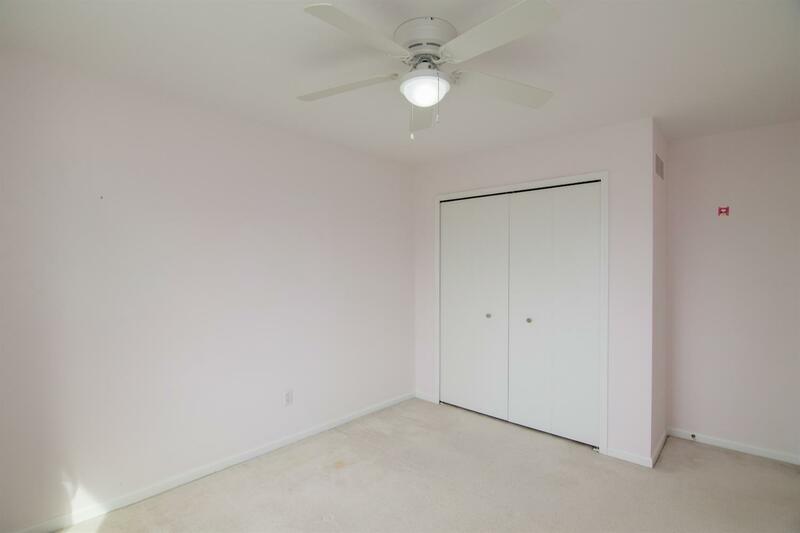 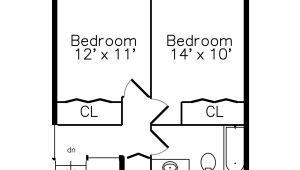 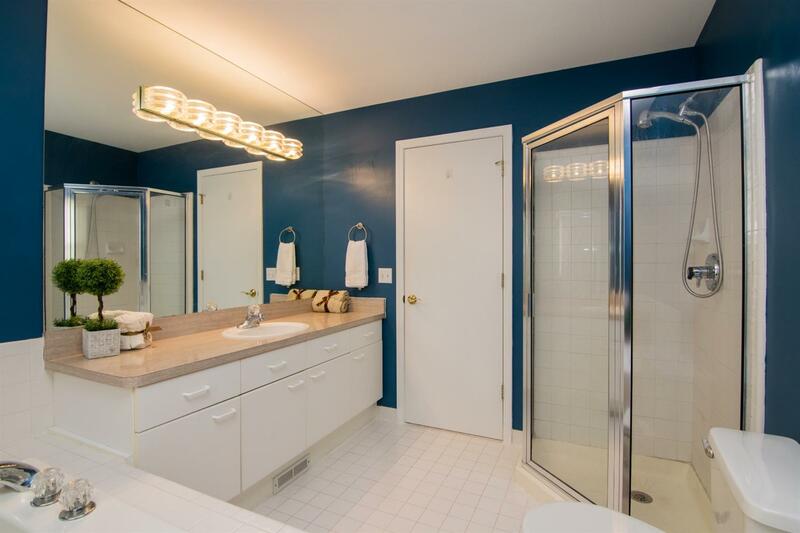 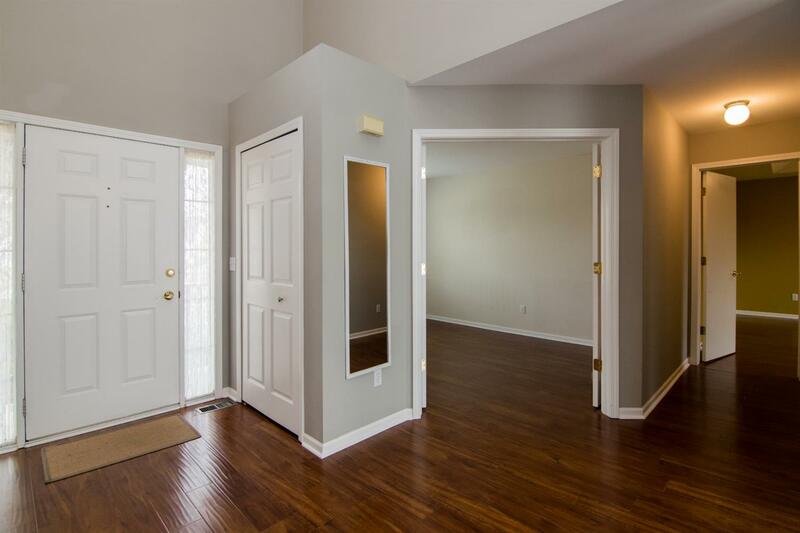 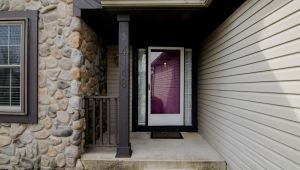 First floor Master suite w/ tray ceiling and ceiling fan w/ walk-in closet, and private bath that features an extra long vanity, separate shower, ceramic floor and whirlpool tub. 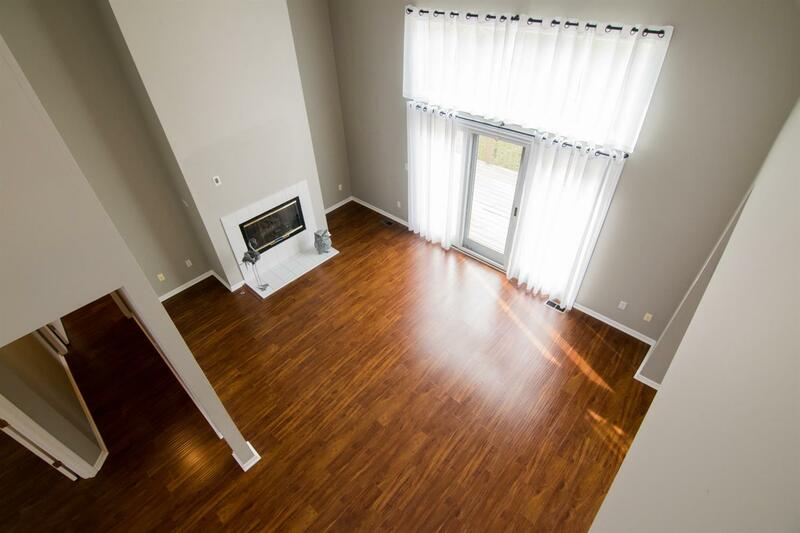 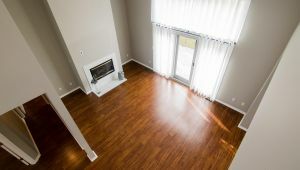 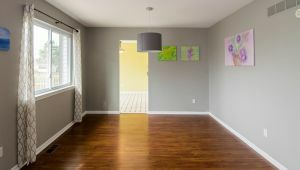 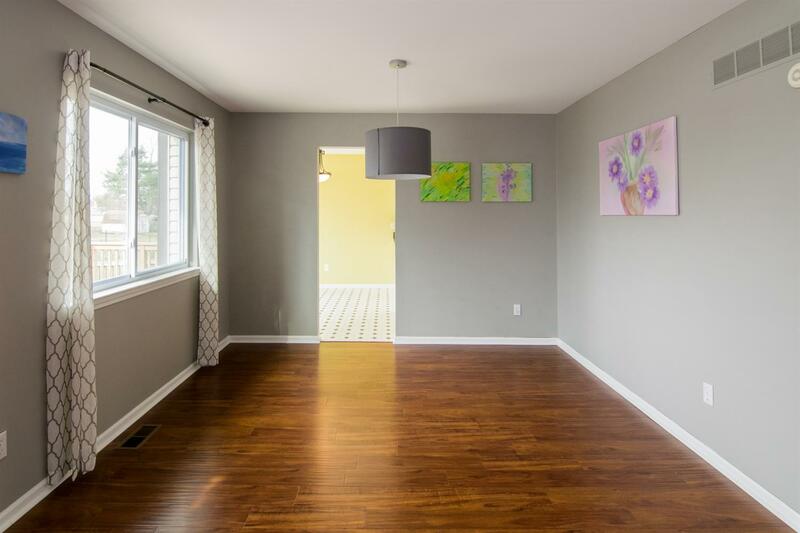 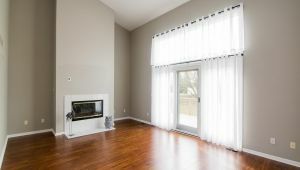 Warm and inviting engineered flooring flows throughout most of the main floor. 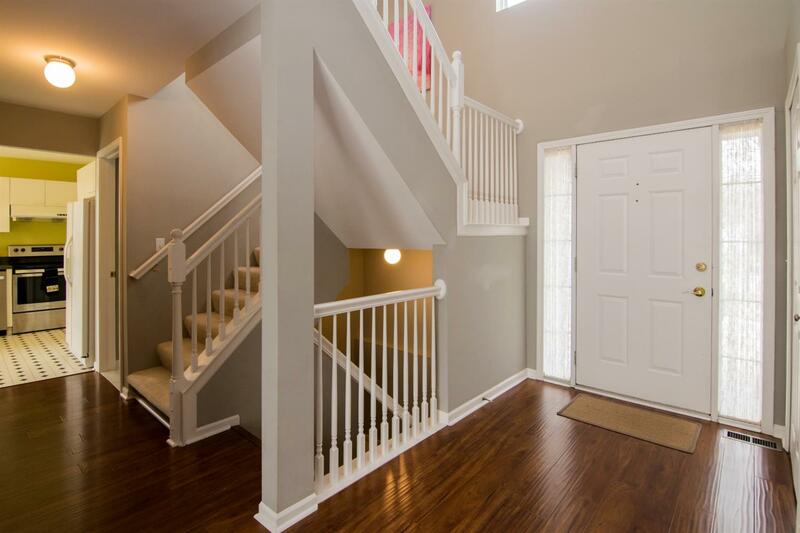 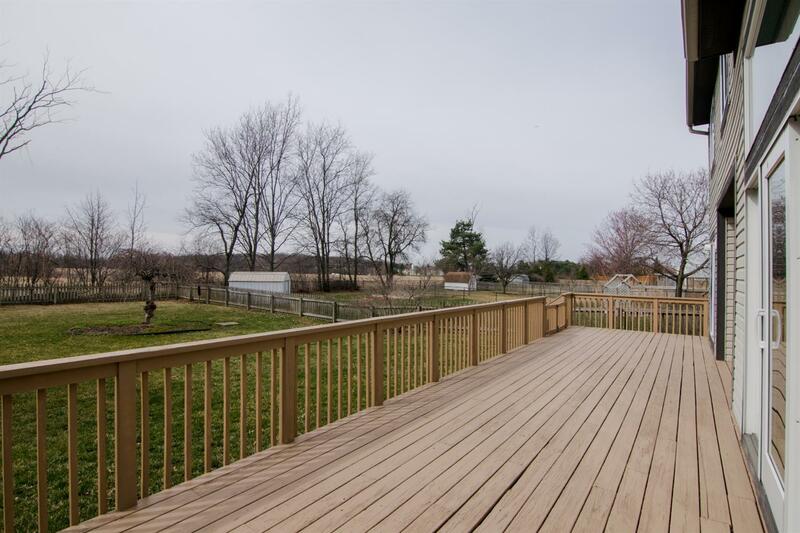 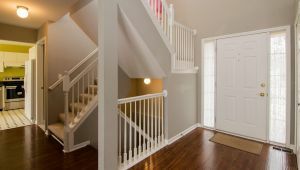 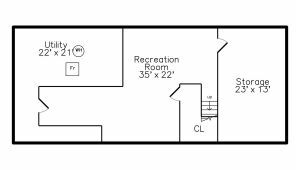 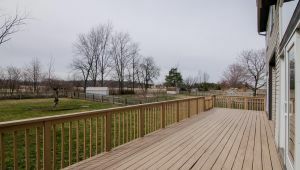 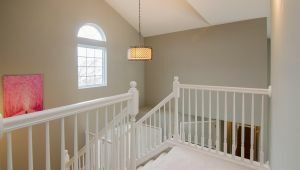 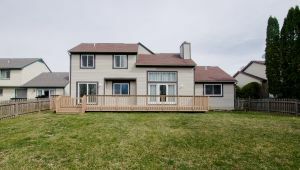 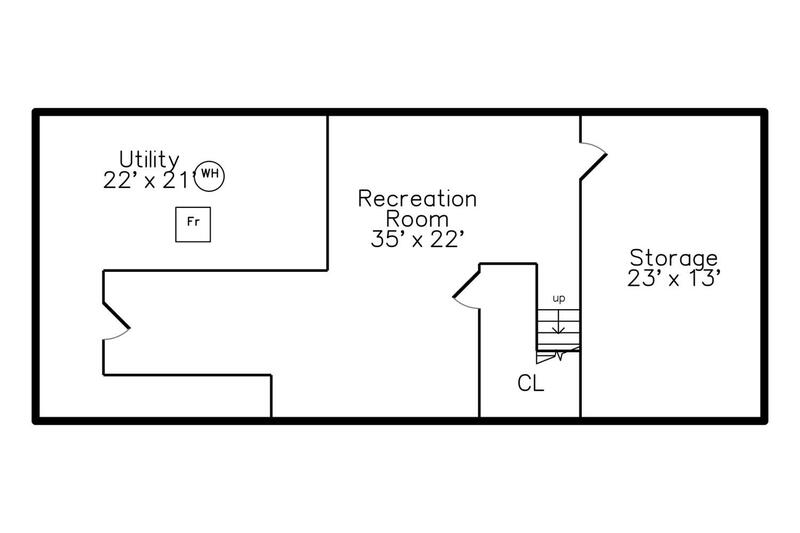 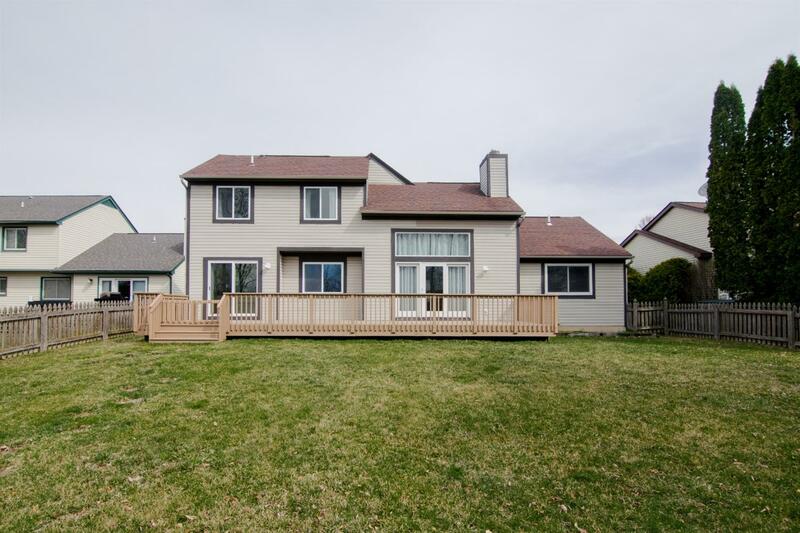 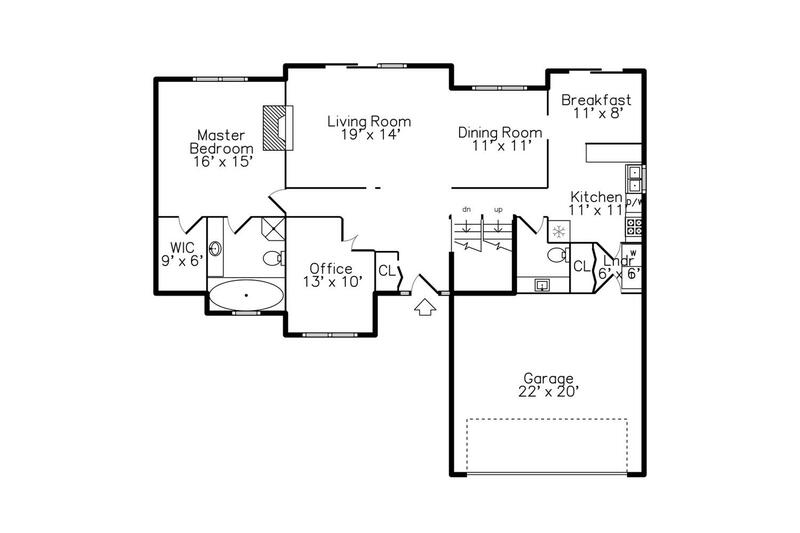 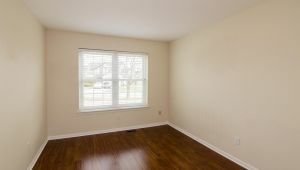 The second level has 2 addl bedrooms and a second full bath. 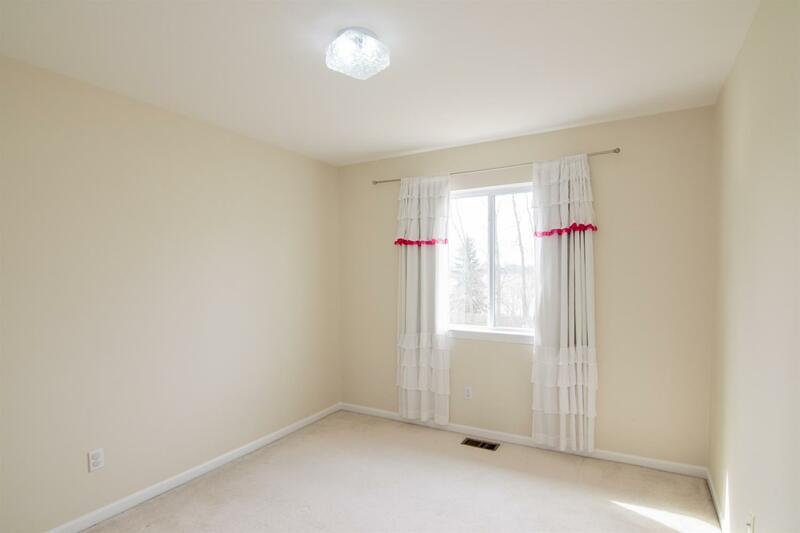 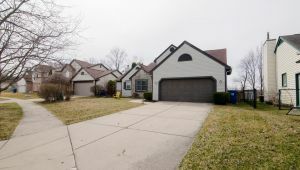 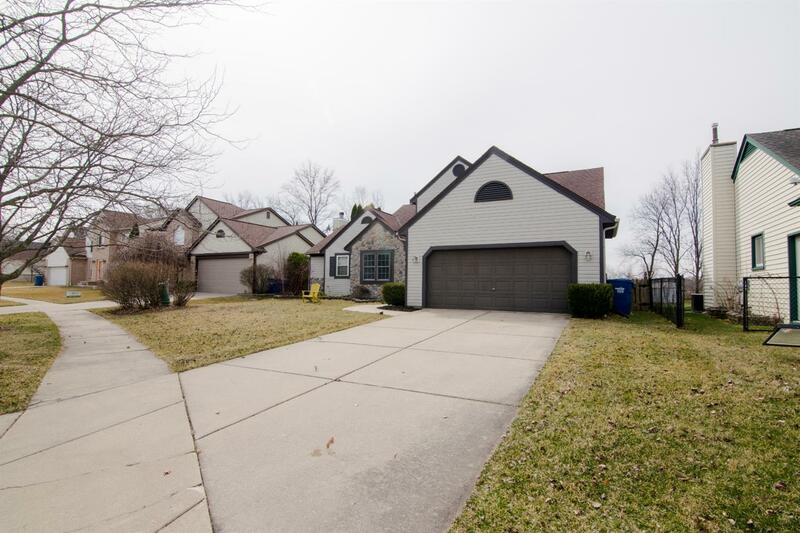 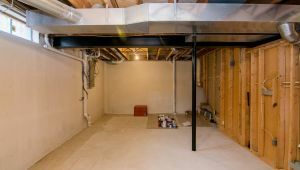 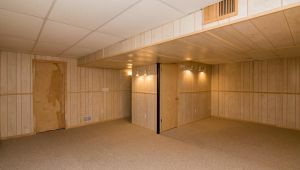 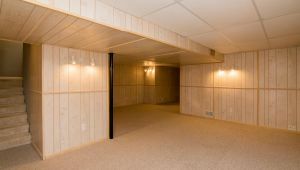 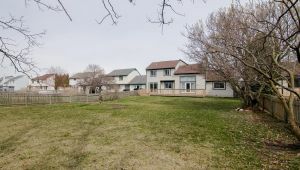 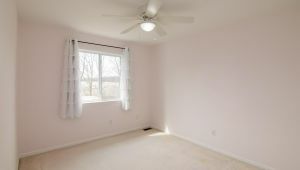 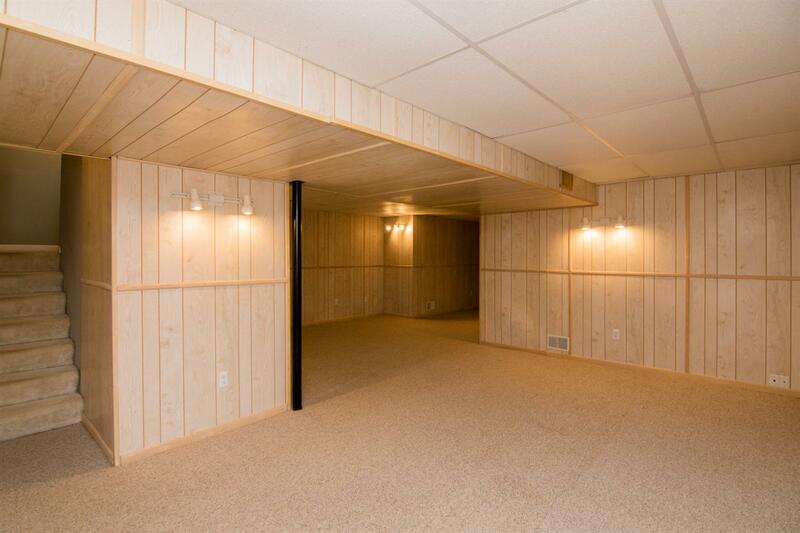 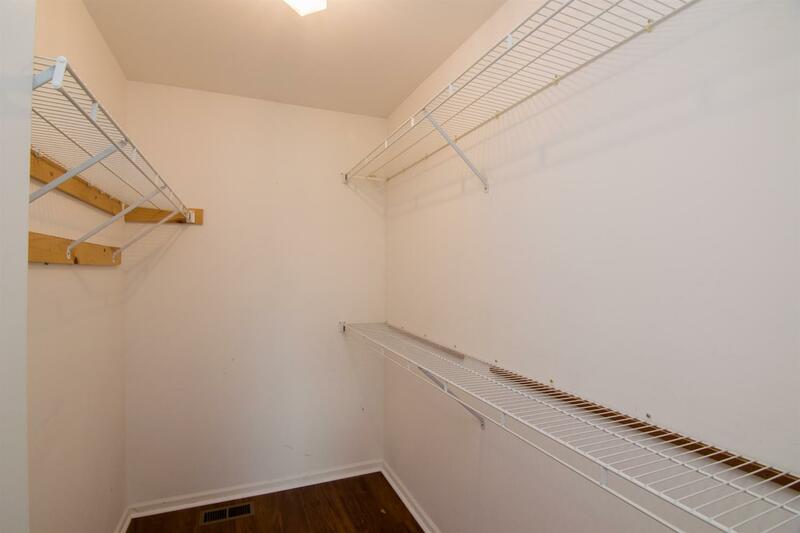 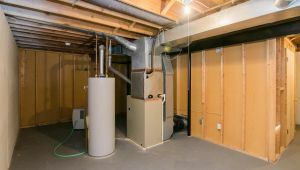 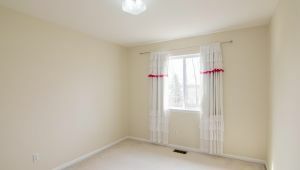 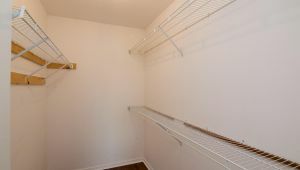 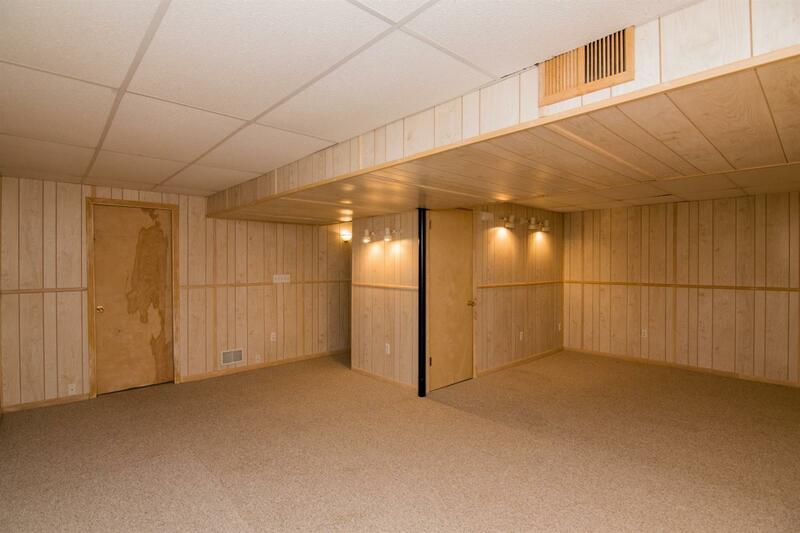 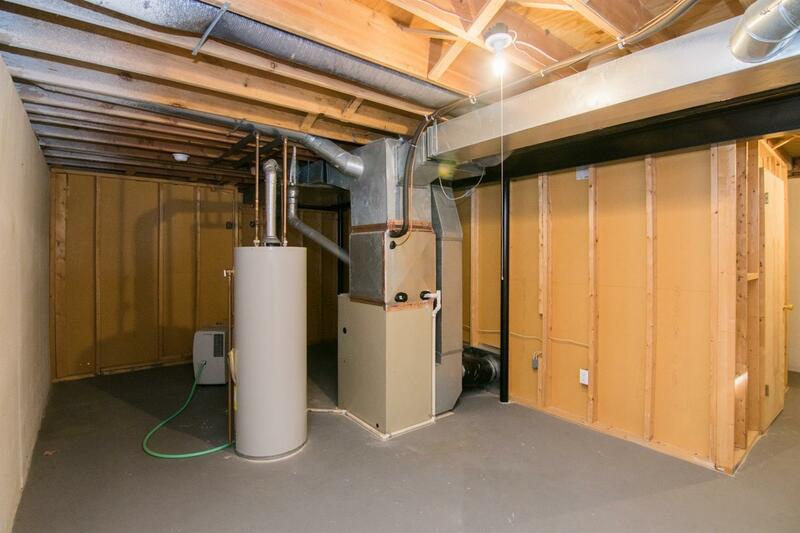 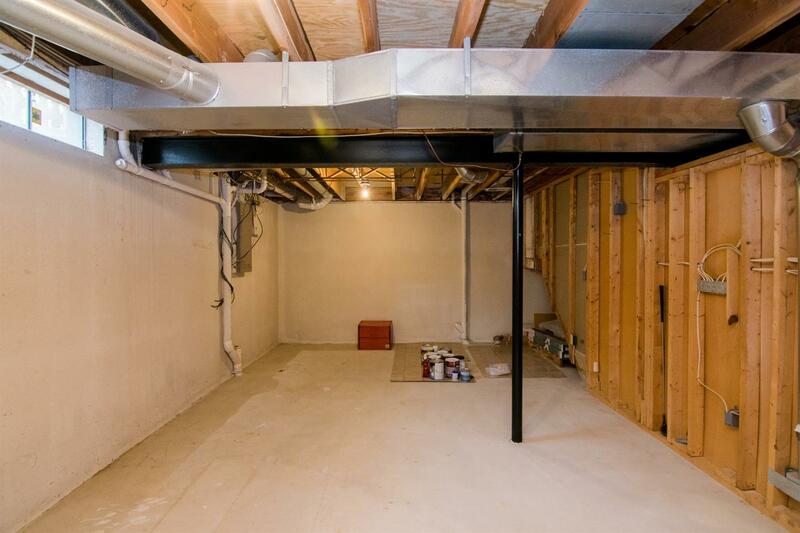 Large Finished basement with storage area. 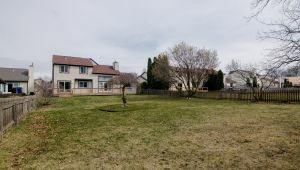 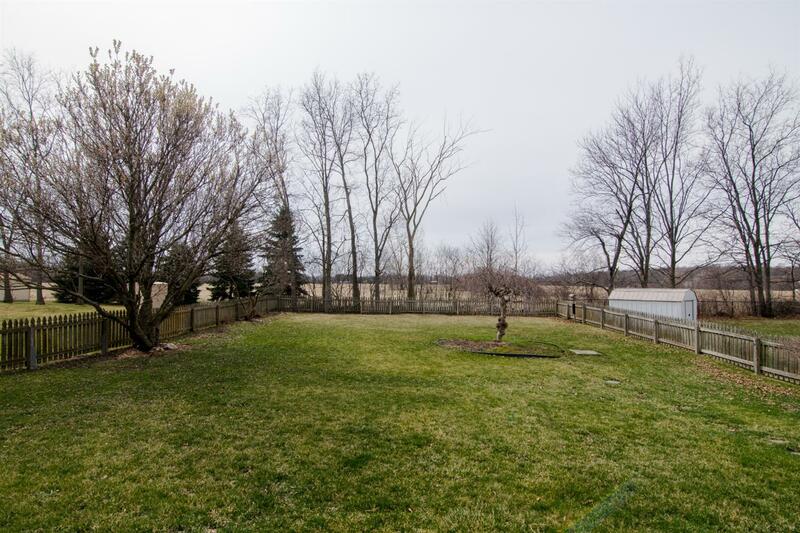 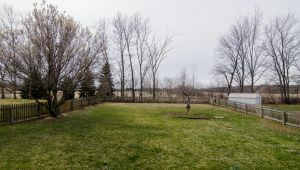 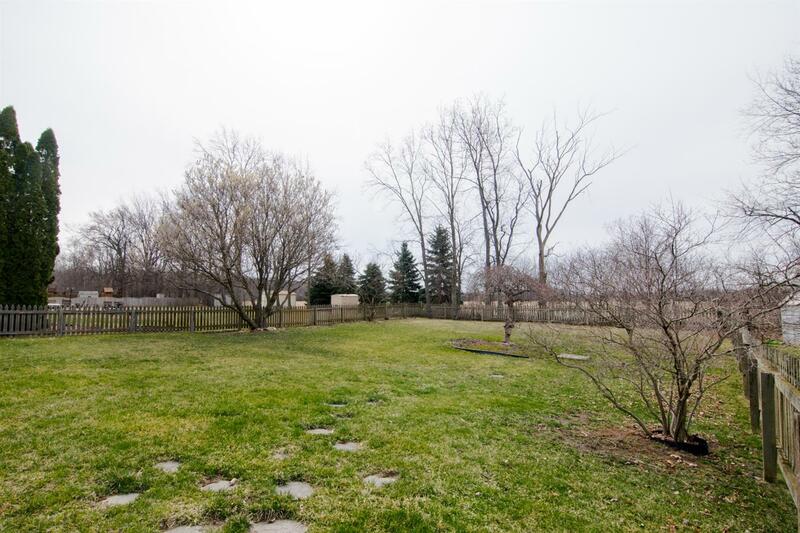 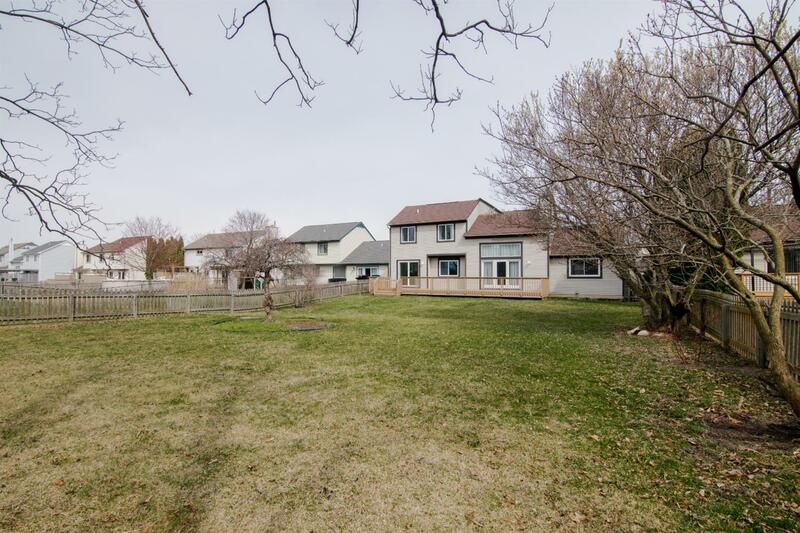 Extra deep fenced-in backyard. 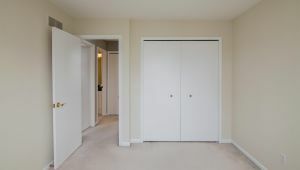 Easy access to expressways. 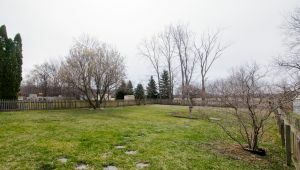 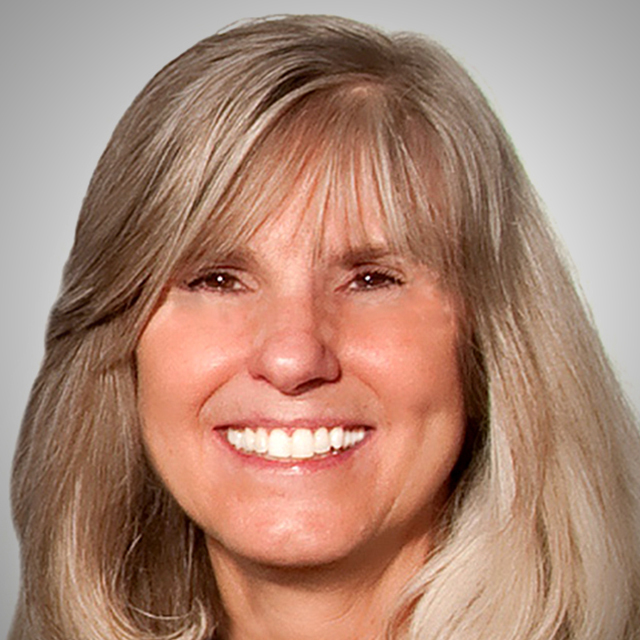 Ann Arbor Schools and Pittsfield Twp taxes.